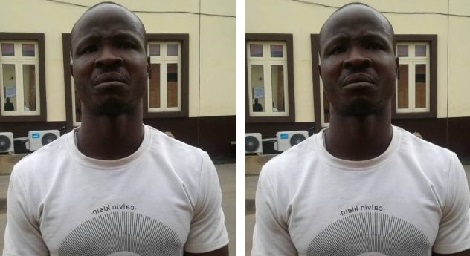 The officials of the Lagos State Taskforce on Environmental and Special Offences (Enforcement Unit) have arrested 35-year-old Omoakin Friday for allegedly parading himself as an official of the Lagos Environmental Sanitation Corps and allegedly extorting money from residents with a fake identity card. The Togolese national was said to have confessed that he had for long been extorting money from pedestrians who preferred not to be prosecuted in court, adding that he made an average sum of N10,000 daily. The Chairman of the task force, Olayinka Egbeyemi, said Friday was arrested after a complaint about illegal activities of the suspect was lodged by LAGESC. The suspect, popularly called Fryo, was reportedly arrested in the Ikeja area where he usually perpetrated his illicit act. He urged Lagosians to stop crossing highways and make use of pedestrian bridges for their safety. The task force boss said the Commissioner of Police, Edgal Imohimi, had directed that the suspect be charged to court.